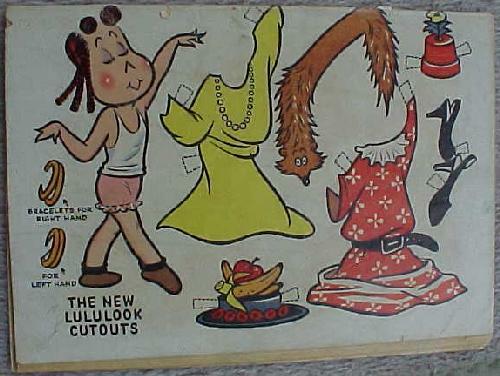 This paper doll is on the back cover of Little Lulu comic #5, September-October, 1948. 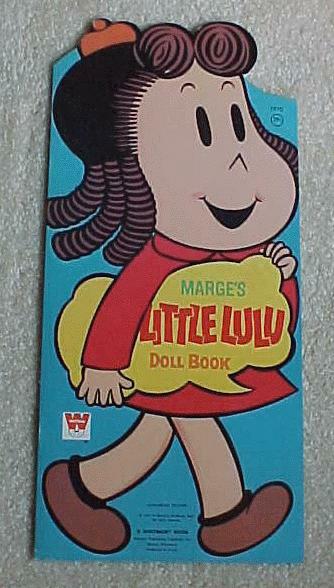 This little paper doll is printed on a sheet about 3" x 4", so Lulu is just over 2" tall. 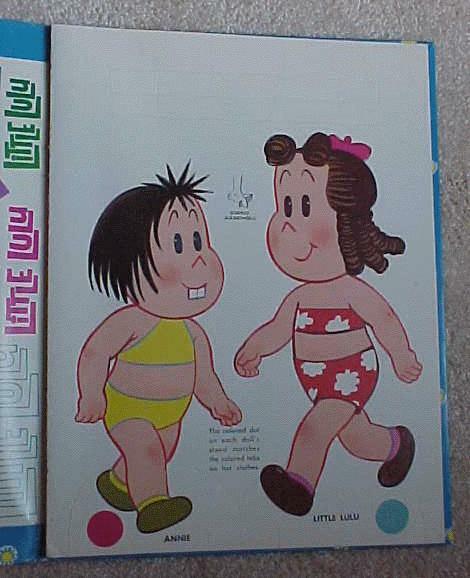 This was from 1950 and was made in Mexico. 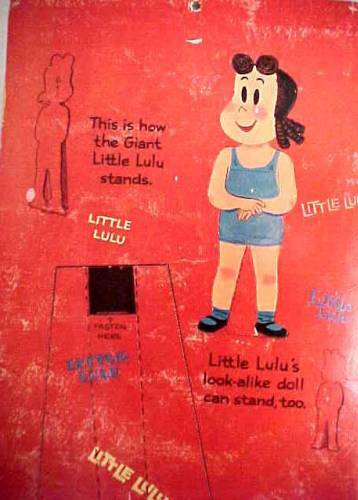 This "Little Lulu Giant Stand-up Cut Out" paper doll has "her own Look-Alike Doll." 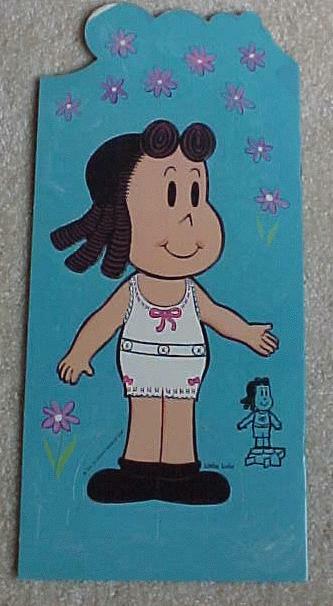 This paper doll is 27" tall. 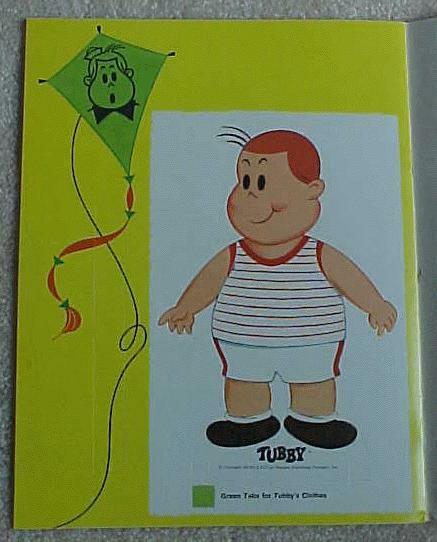 The book has a 1960 copyright by Marjorie Henderson Buell. 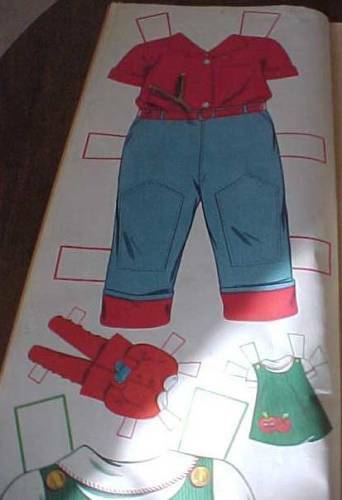 The pictures below shoe the comparative size of the smaller paper doll, a close up of instructions for making Lulu stand up, and a page of clothes for both the large and small dolls. This is A Whitman Book #1970 by Western Publishing Company, Inc. in Racine, Wisconsin with a 1971 copyright by Marjorie Henderson Buell. 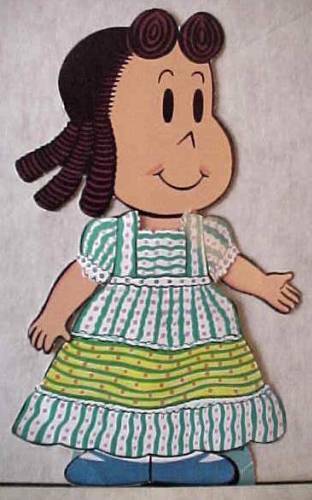 The book is tall, just over 14" x 7" with a 10" paper doll. 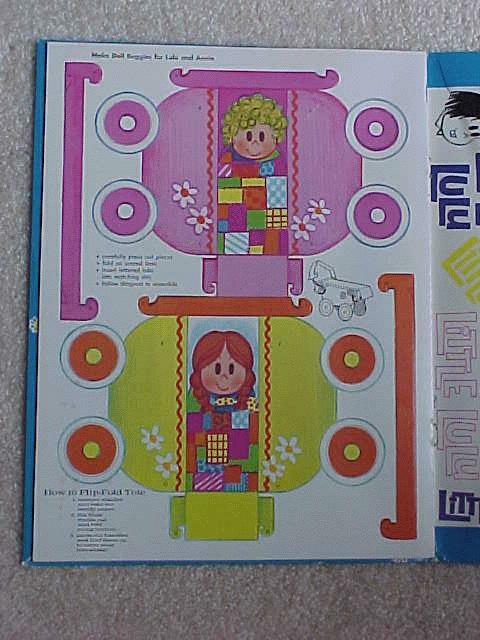 Her are pictures of the Lulu paper doll and a sample page of clothes. 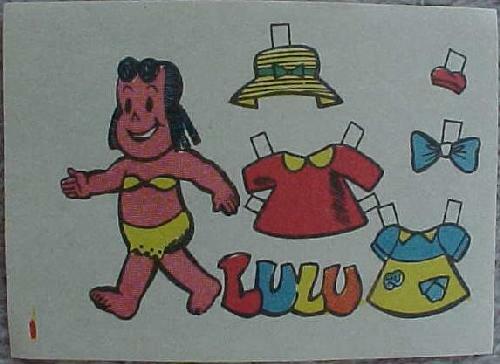 Here is Lulu wearing one of her dresses. 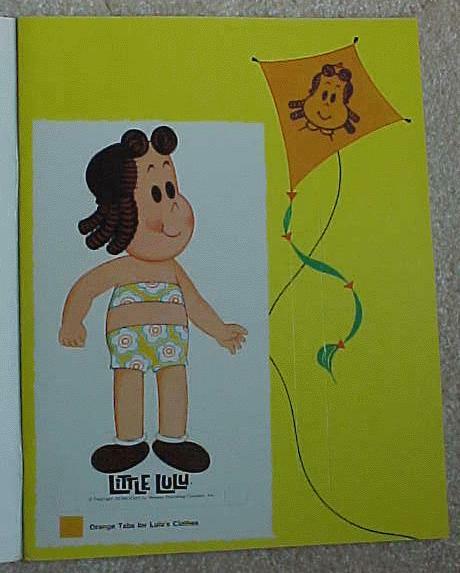 This is a box # 4770/7418 with a 9 1/2 inch paper doll and sheets of clothes that punch out by Whitman with a 1972 copyright by Western Publishing Company, Inc. Here are the doll and some clothes. 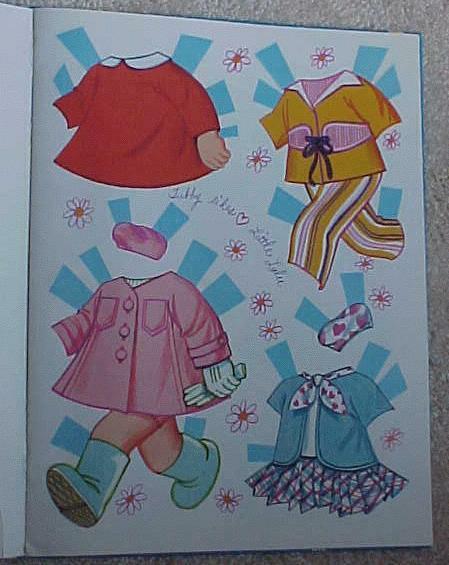 Here is another paper doll book, #1979, also A Whitman Book, with a 1973 copyright by Western Publishing Company, Inc. 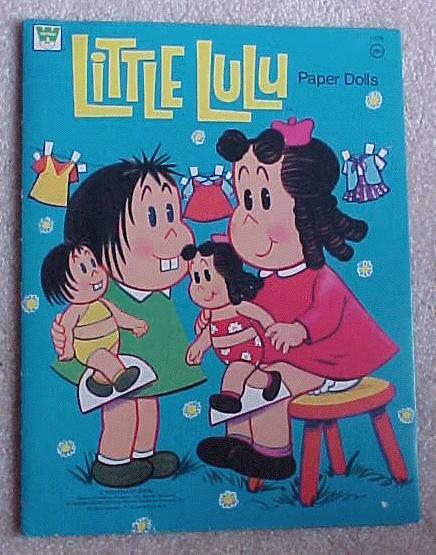 The paper doll of Lulu is about 9" and Annie is about 8.5" tall. 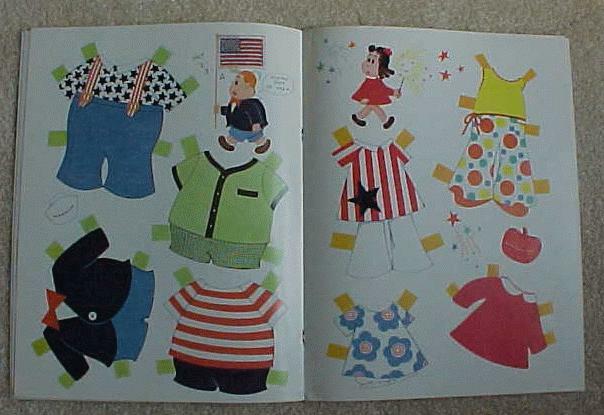 Here are the Lulu and Annie paper dolls, some clothes, and Lulu and Annie's doll buggies. 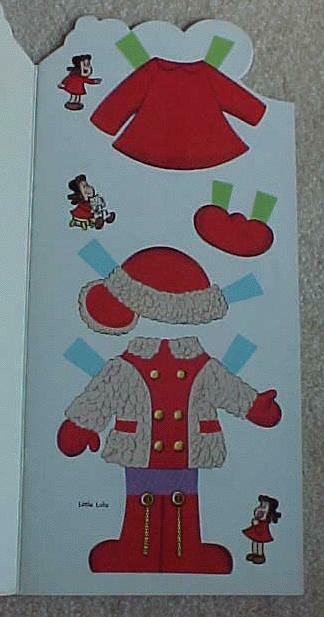 Here is another paper doll book, #1987, also A Whitman Book, with a 1974 copyright by Western Publishing Company, Inc. 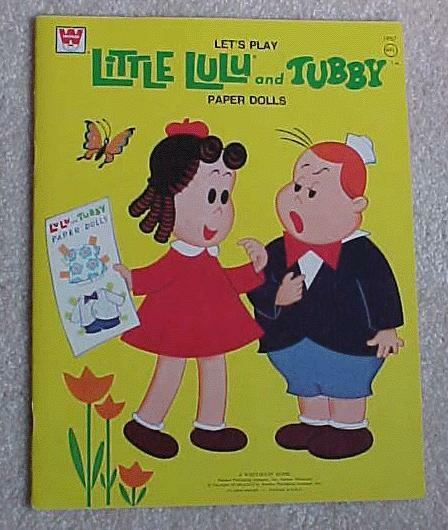 The paper dolls of Lulu and Tubby are about 8" tall. 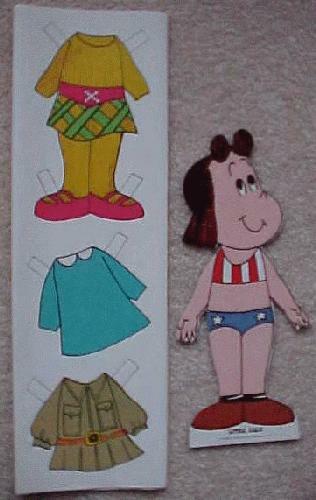 Here are the Lulu paper doll, the Tubby paper doll, and a page of Lulu's and Tubby's clothes. Page last updated 12 May 2003.